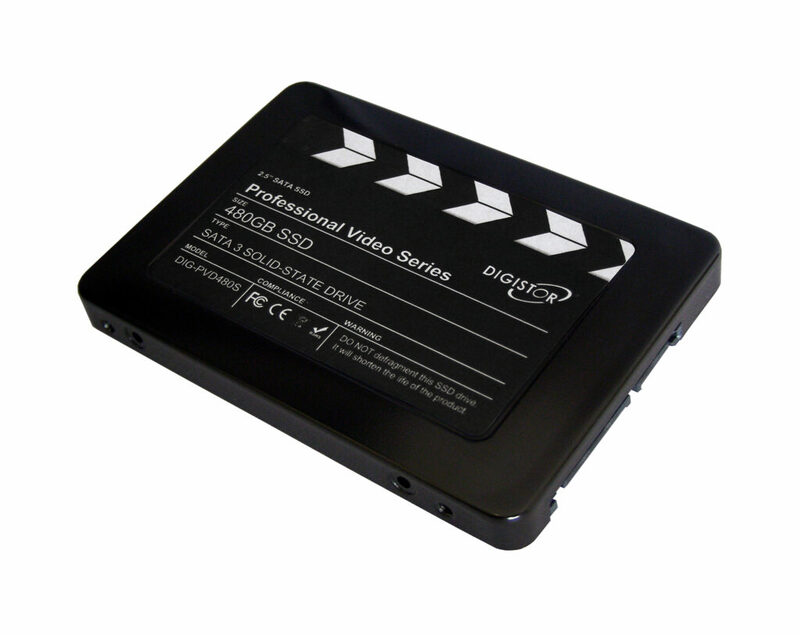 Introducing the DIGISTOR Professional Video Series SSD Drives for uncompressed video using Blackmagic Design products. DIGISTOR has been working hard behind the scenes to bring the world a professional series of SSD drives for fully uncompressed high-definition video capture. These SSD drives are the first ever designed for critical uncompressed video capture applications and built to the performance levels required to be used in Blackmagic Design video products. The DIGISTOR Professional Video Series SSD Drives are available now for special introductory prices and sizes ranges from 128GB SSD PVD-PVD128E (coming soon), 240GB SSD DIG-PVD240S (available now), and 480GB SSD DIG-PDV480S (available now) for Blackmagic Design Products. The DIG-PVDxxxx series of SSD Drives for Blackmagic uncompressed video products can also be used in other video capture and playback applications, as well as less performance critical file and data storage applications.